In the past, to get your message out to key audiences you’d either need to invest money in advertising, or invest time in persuading traditional media outlets to carry it for you. Social media has changed that. You can now connect directly with your target audience, so it’s not surprising that we’ve seen increasing use of social media, and Twitter in particular, for low-cost government communication. This is to be commended, but are you getting the impact you could from social media? Well, if you’re not thinking about how you use images on these channels then you’re probably not. There is plenty of evidence that using images on Twitter increases engagement. For example, an often cited 2013 study by Dan Zarella of HubSpot, found that Tweets with images embedded in the Twitter stream were 94% more likely to be Retweeted. While this should have grabbed your attention, it’s worth noting that the study looked at a random sample of Tweets, which presumably included a fair share of cat-pictures, so we may not see comparable results for government tweets. Helpfully, Twitter has done some research on drivers of Retweets from verified accounts. This research shows that using an image increases Retweets by 35%. To be clear, this means that if on average you get 100 Retweets, including an image would give an average of 135 Retweets. 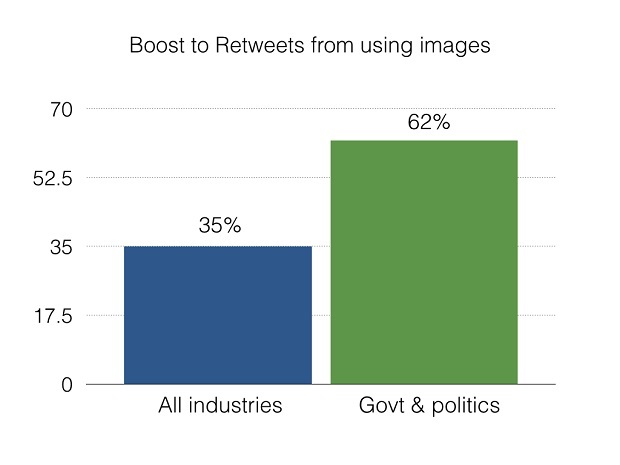 The research also drills down by industry, and for government and politics using an image boosts Retweets by a whopping 62%. The positive impact of images also seems to hold true across other social media platforms. For example, research from Hubspot shows that on Facebook photos get 53% more likes, 104% more comments, and 84% more click-throughs than text based posts. Let’s look at a real example. DESIGN102 created some Twitter graphics for the Ministry of Justice to use in announcing local funding for victims’ services. 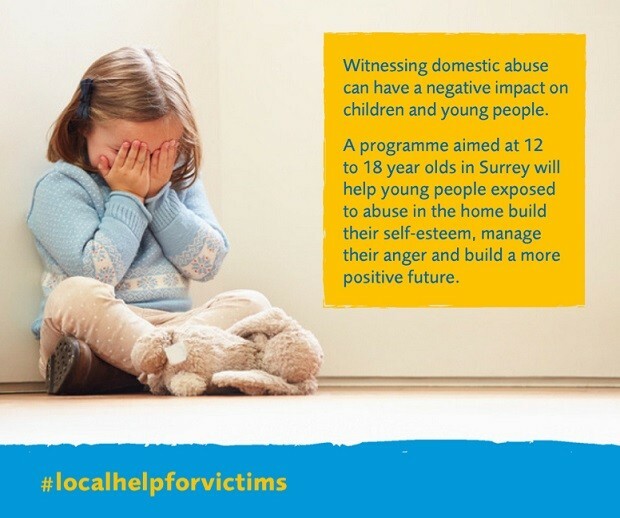 The graphics included a striking image, some information on the funding, and the hashtag #localhelpforvictims. What the Ministry of Justice saw was exactly what you’d expect given the research above – that using images boosted the number of Retweets. For example, the Tweet containing the image below saw 104% more Retweets than the Ministry of Justice average. So, if you’re active on social media you need to be thinking about using images. That’s not to say that every Tweet you send needs an image, but you should consider using them for the posts & Tweets which matter most to you. Think about re-purposing images you already have, or where you’ve commissioned the design of other materials then ask your designer to provide some extra images optimised for social media use. For example, if you’re having an infographic created, whether in-house, by DESIGN102, or by another agency, also ask for several extracts of the overall graphic to be created. Having several different extracts means you can give some variety to your posts and tweets. Finally, please remember that size matters. Whether you’re re-purposing old content or commissioning new images, you’ll need to be clear about which social media channels you intend to use. Different platforms have different optimum sizes for images, and getting the size right will have a huge impact on how it displays online. If you’d like to explore how DESIGN102 can help you with social media images and graphics then please get in touch.